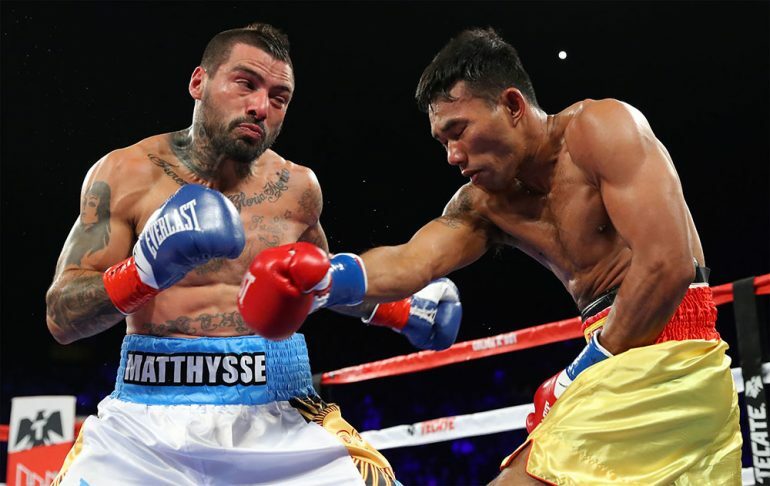 Lucas Matthysse finally got his heavy hands on a major world title, the WBA’s “regular” welterweight strap (which THE RING does not recognize), by scoring an eighth-round KO of Tewa Kiram on Saturday in Inglewood, California, but the 35-year-old veteran looked like a faded fighter before he caught the unheralded and unrated Thailand native. 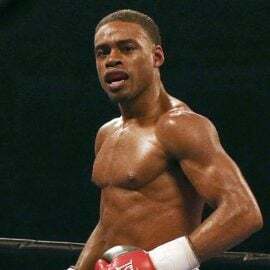 It’s rare for a contender to drop in the rankings after a victory, and THE RING Ratings Panel was split on whether to do so with Matthysse, but a slight majority of the panelists suggested that the former 140-pound standout, who was No. 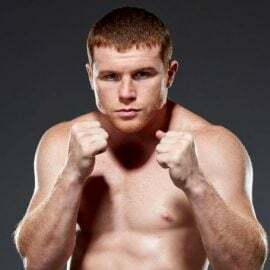 6 going into the Kiram fight, should not be rated ahead of unbeaten WBO beltholder Jeff Horn, future hall of famer Manny Pacquiao and former titleholder Jessie Vargas. Matthysse dropped from No. 6 to No. 9 in the welterweight rankings. 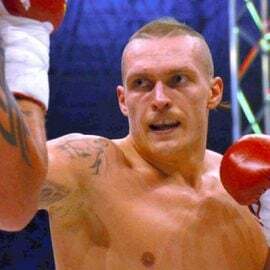 The only other decision made in the divisional rankings was to keep Mairis Briedis, who lost his WBC cruiserweight title to WBO beltholder Oleksandr Usyk via majority decision on Saturday in his hometown of Riga, Lativa, at No. 3. Briedis gave almost as well as he got in a rousing 12-round battle and his impressive effort did not merit falling below No. 4-rated Denis Lebedev. 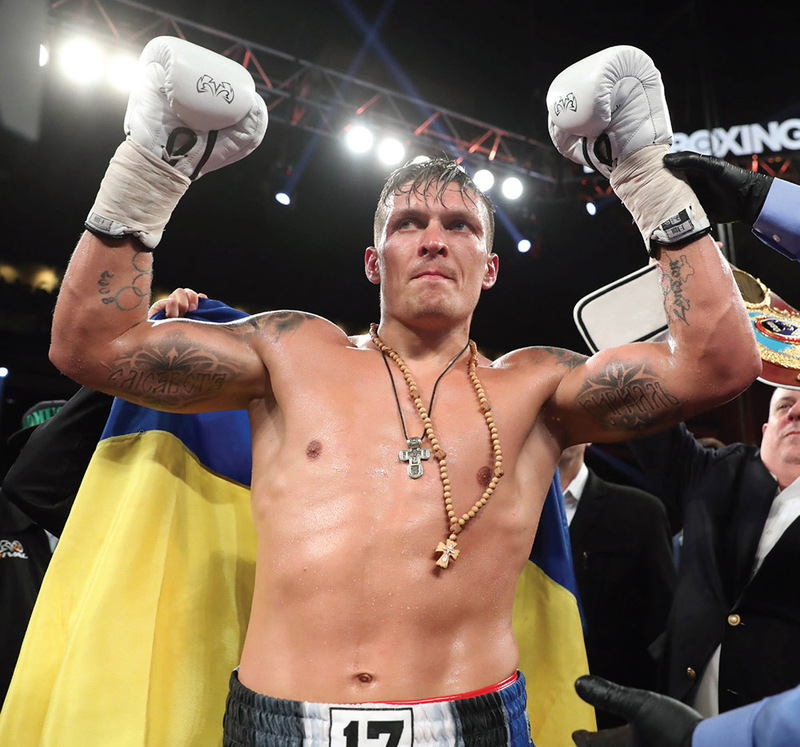 It was brought up if Usyk (14-0, 11 knockouts) – who has won two world titles from previously unbeaten beltholders in their home countries – is worthy of THE RING’s Pound-for-Pound rankings. 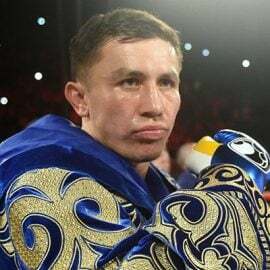 The Panel was split on the Ukrainian southpaw cracking the top 10. Those in favor of him being included, mostly said so because they believe he’s more worthy than Guillermo Rigondeaux, who is currently No. 9. Some were in favor of his inclusion but voted against it because they did not want him to push out No. 10-rated Srisaket Sor Rungvisai. Others, including Harty, want to see more from Usyk before including him among the sport’s elite. 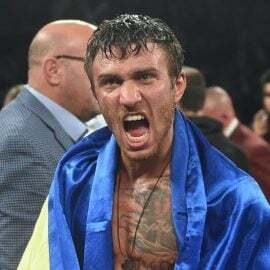 It should be noted that the World Boxing Super Series cruiserweight final between Usyk and the winner of this Saturday’s Murat Gassiev-Yunier Dorticos showdown, scheduled for May 11, will be for THE RING’s vacant cruiserweight title. And speaking of RING titles, the Panel discussed the case of Tyson Fury and a number of scheduled fights that are potentially eligible to be RING championship bouts. A strong majority of the Panel were in favor of stripping Fury, who has not defended his RING heavyweight title since upsetting Wladimir Klitschko in November 2015, if the lineal champion does not announce a scheduled return bout by the end of today (Wednesday, January 31). More than a few panelists suggested this with some reservation. “Fury has to get stripped this week and I have mixed feelings about it,” said RING Associate Editor Tom Gray. “First, I hate that we’re going to separate from the lineal title. And I also admire the way Tyson has pulled himself together, because coming down from 330+ (pounds) must have been torture. “On the other hand, there’s not enough urgency from his team and the constant narrative is stay-busy fights until he’s match-fit. Sorry, but (Muhammad) Ali fought (No. 1 contender) Jerry Quarry with six weeks notice after 3.5 years. An injury ridden Vitali Klitschko fought Sam Peter for the (WBC) title after four (years). 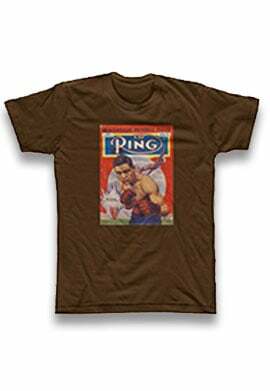 THE RING belt can’t be on the line for 10-rounders and crappy fillers. 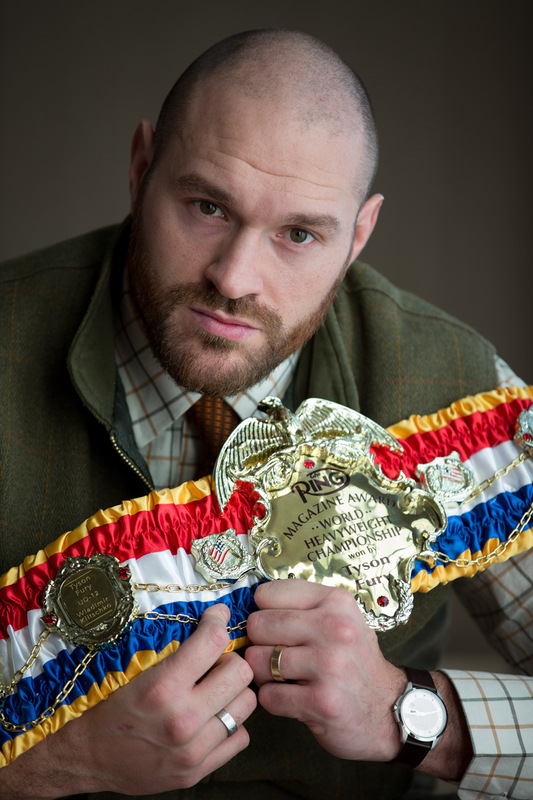 Although Joshua-Parker would be eligible for the vacant RING belt if Fury is stripped (because Joshua is rated No. 1 and Parker is rated No. 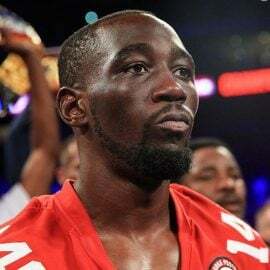 3), the Panel was unanimous in voting that it not be on the line for the March 31 IBF/WBA/WBO unification bout due to the strength of the current No. 2 contender (Wilder). Likewise, the Panel was against the April 7 Erislandy Lara-Jarrett Hurd 154-pound WBA/IBF title unification bout (which matches THE RING’s Nos. 1 and 3-rated junior middleweights) being for the vacant RING title because they believe respected No. 2-rated Jermell Charlo should not be passed over. The Panel was split on making the Sor Rungvisai-Estrada showdown for the RING junior bantamweight title, but a push from the magazine’s editors will put the vacant 115-pound championship on the line for the February 24 HBO-televised main event. Sor Rungvisai and Estrada are THE RING’s Nos. 2 and 3-rated 115 pounders. No. 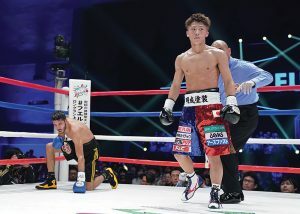 1-rated Nayoa Inoue, the WBO titleholder, stated that he intends to move to bantamweight prior to his final bout of 2017 (a third-round stoppage of Yoann Boyeaux on December 30), seemingly clearing the way for the February 24 “SuperFly 2” main event to be eligible for THE RING title. However, Inoue has yet to vacate the WBO title, and when his promotional company was contacted by THE RING they were non-committal about his move up in weight. THE RING has been told by members of the Japanese boxing press that Inoue’s next fight will definitely be at 118 pounds, but some members of the Panel want the announcement to be official before he’s removed from the 115-pound rankings. However Tom Gray wasn’t in a patient mindset regarding Inoue’s situation. “Inoue is clowning! Pre-(Boyeaux): ‘I’m moving up to 118.’ Post-fight: ‘I’m moving up to 118.’ Hey Naoya, with you moving up to 118, we’re going to make Sor Rungvisai vs. Estrada for THE RING belt. ‘Oh, well, I might stay at 115.’ Give me a break! It would be tragic for us to buy into this. If Inoue truly wants THE RING belt, then knock off the additional pounds and fight the winner. The Panel was against the Donnie Nietes-Juan Carlos Reveco fight, which is the on the Sor Rungvisai-Estrada undercard, being for the vacant RING flyweight title. Nietes, the IBF beltholder, is THE RING’s No. 1-rated 112 pounder. Reveco is No. 3. However, No. 2-rated Daigo Higa, who holds the WBC title, is an absolute beast. Scalia’s opinion was echoed by most of the other Panelists.